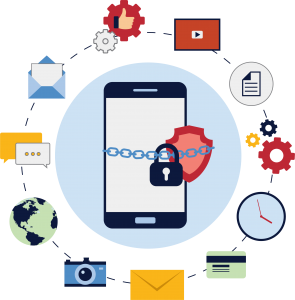 Mobile App Penetration Testing - Pyramid Cyber Security & Forensic Pvt. Ltd. Many Organisations use Mobile Device Management (MDM) applications like Blackberry Enterprise Servers or may be a third party Device Management Server. Pyramid team helps you with MDM Assessment service by conducting a security assessment of the servers to identify unsuitable configurations or policies which are not in compliance with the organization security policy and best practices. Our Source Code Review helps to discover the underlying code issues which may not be detectable in the exposed user interface. Pyramid team can review source code for applications of different platforms like iOS, Android, Windows. Results on the technical assessments are prioritized according to the Common Vulnerability Scoring System (CVSS). Our testing methodology is based on a combination of OWASP Mobile Top 10 and tailored customer requirements. Our approach includes 65% to 70% of Manual Testing to provide deeper insights. Automated Testing is used for crawling phase.